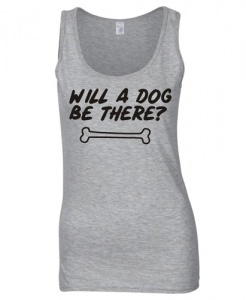 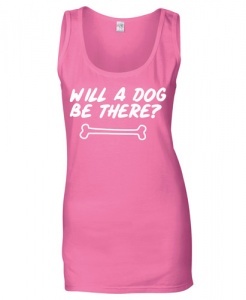 Women's Slogan Tank Top - Will A Dog Be There? 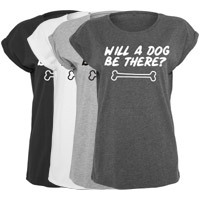 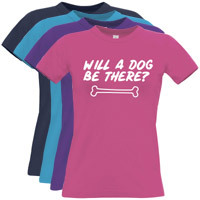 This fabulous dog themed ladies tank top t-shirt features the fun slogan "Will A Dog Be There?" 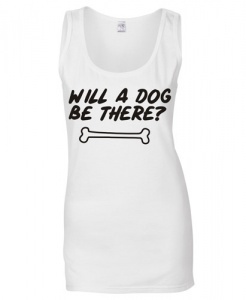 with a cute bone motif. 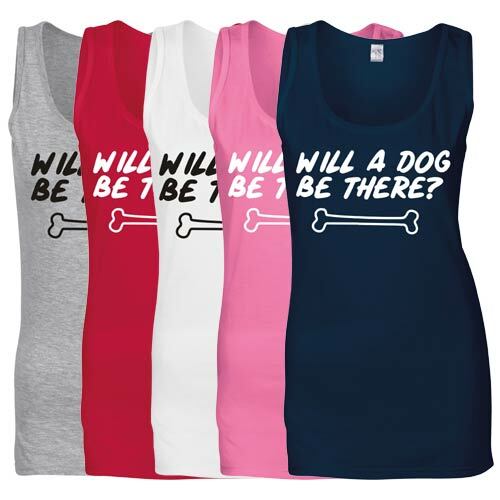 These vests are the perfect gift for yourself or a dog loving friend. 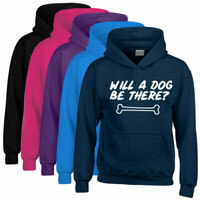 Great fun when out and about, with or without your dog.